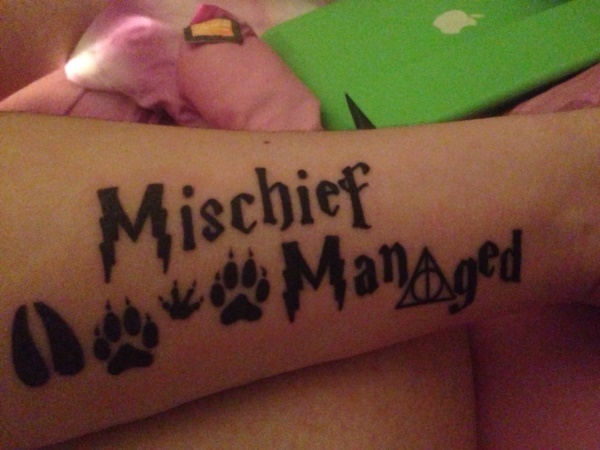 Ah Harry Potter! 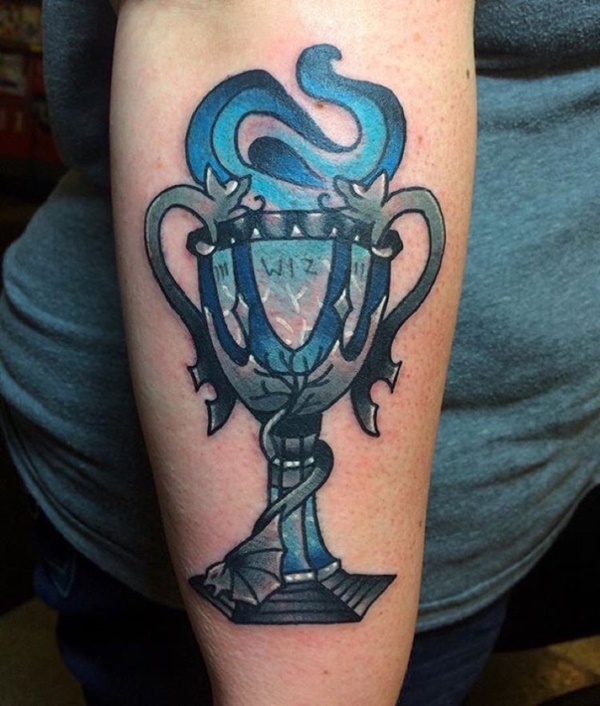 What can we say about this series? 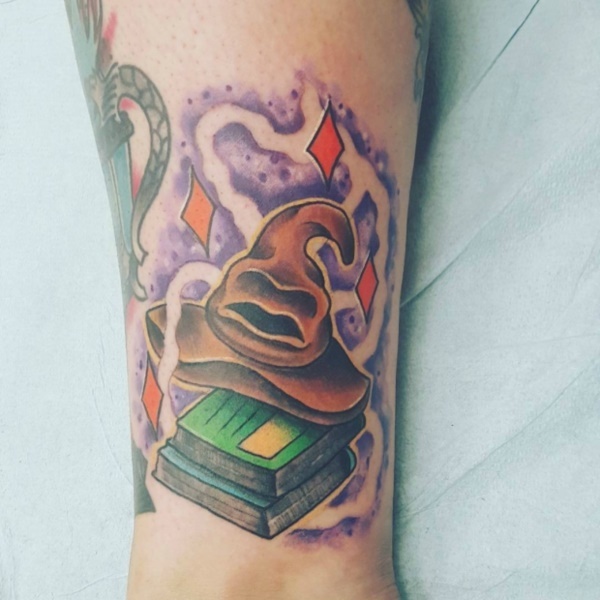 It started out as a series of books that seemed almost childlike but one that grew along with you to cover a lot of young adulthood and keep things interesting throughout the process. 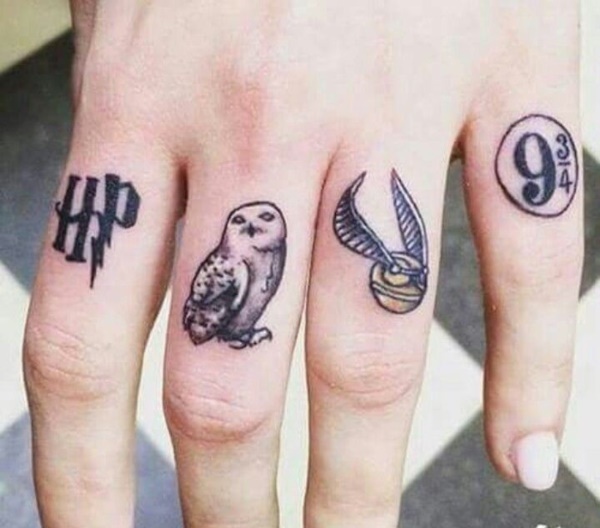 There was magic, there were miracles, there were villains, great evil, competition, inspiration, romance and a lot of noble sacrifices. 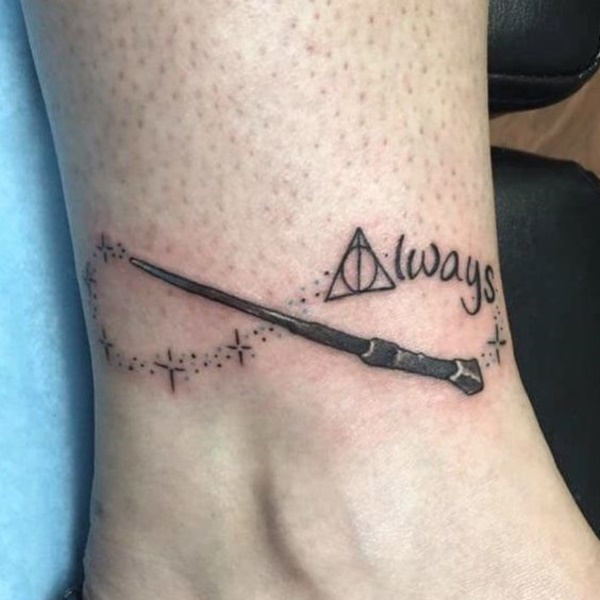 People who love the Harry Potter series will tell you that they seem to gain a new insight or notice a new detail every time they read it again. 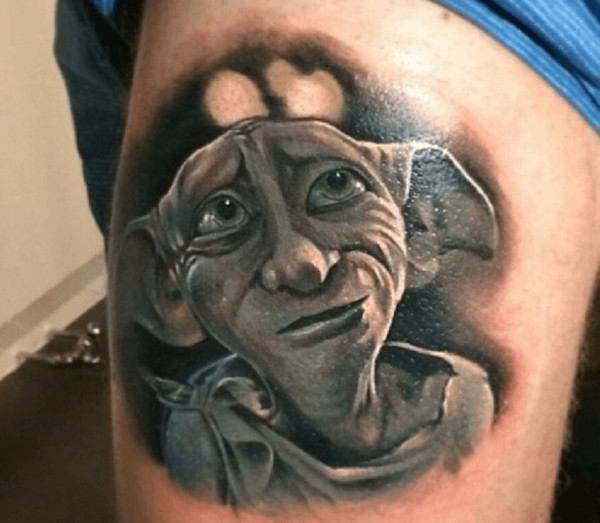 We can go on for hours about the Harry Potter series and never run out of words but that is what this article is about. 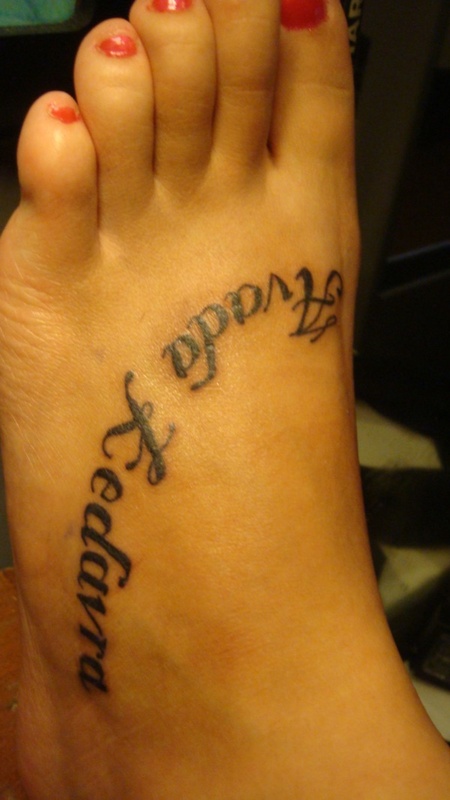 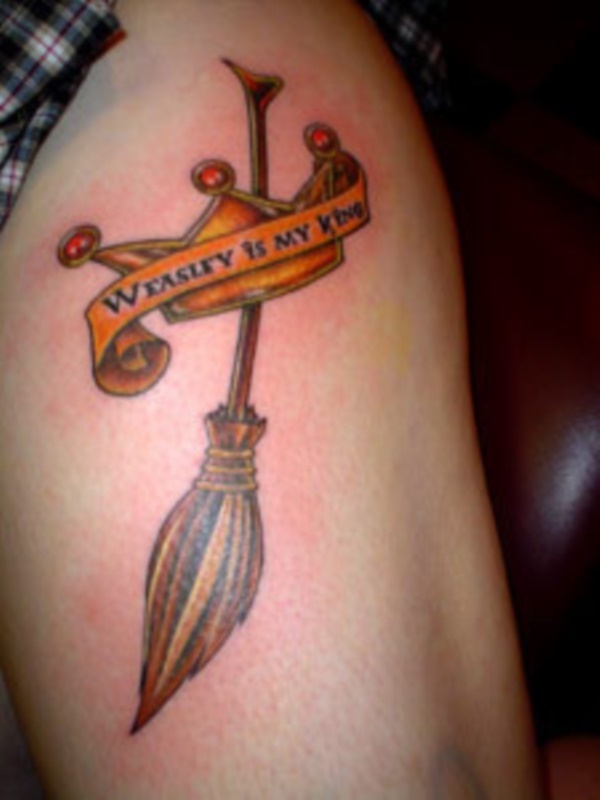 It is about tattoos, Harry Potter design tattoos but the focal point should be the tattoos. 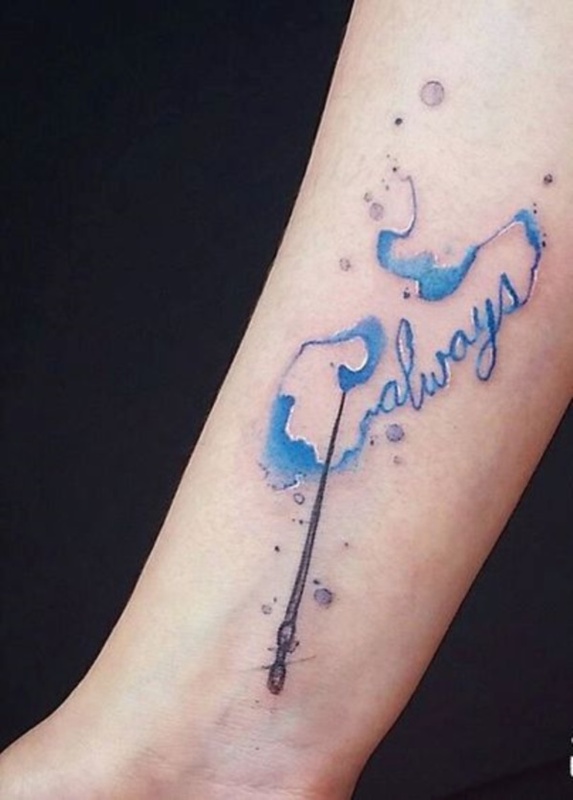 And like the Fantastic Game of Thrones tattoo designs, these offer a wide range of emotions to choose from, in fact more; starting from the most childish to the most profound. 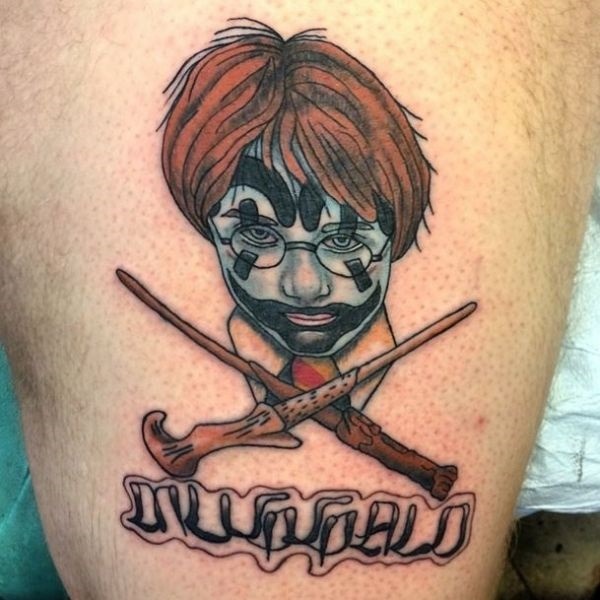 There are valiant gladiator tattoo designs that some may liken to Harry Potter based tattoo design but this again would not be a fair comparison at all. 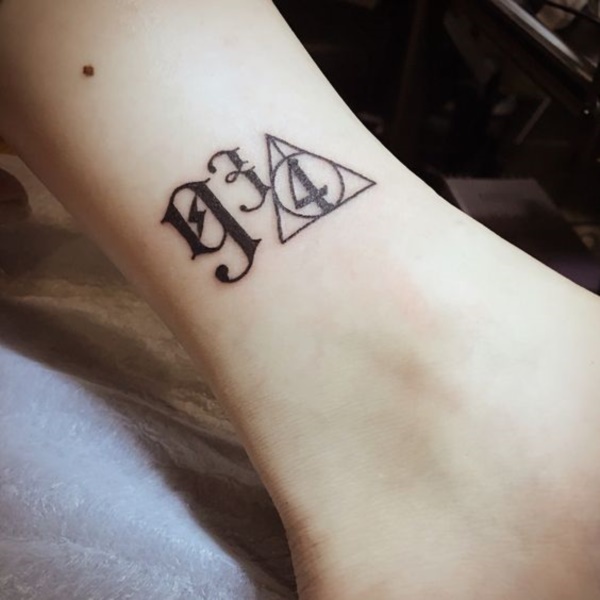 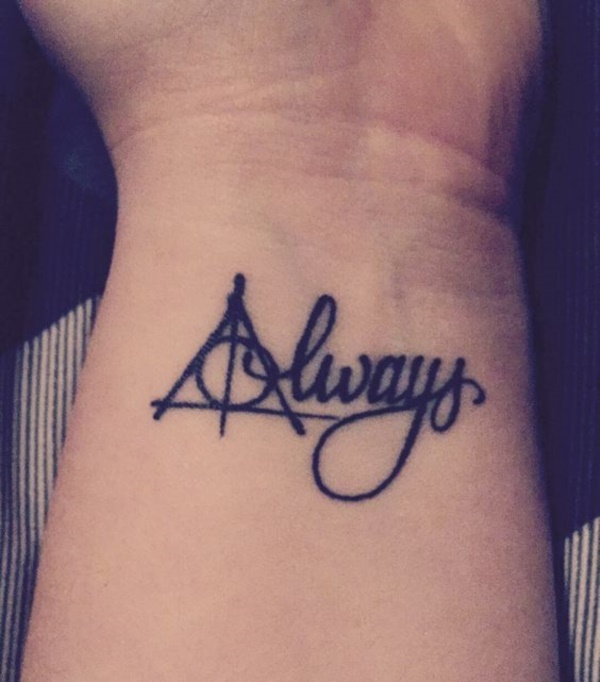 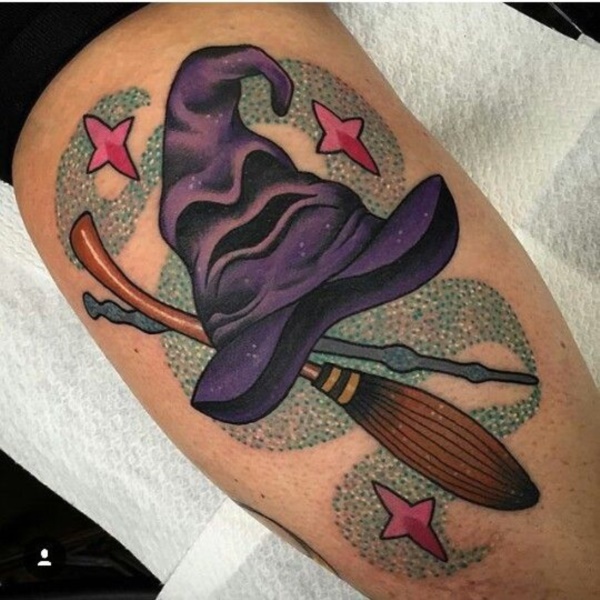 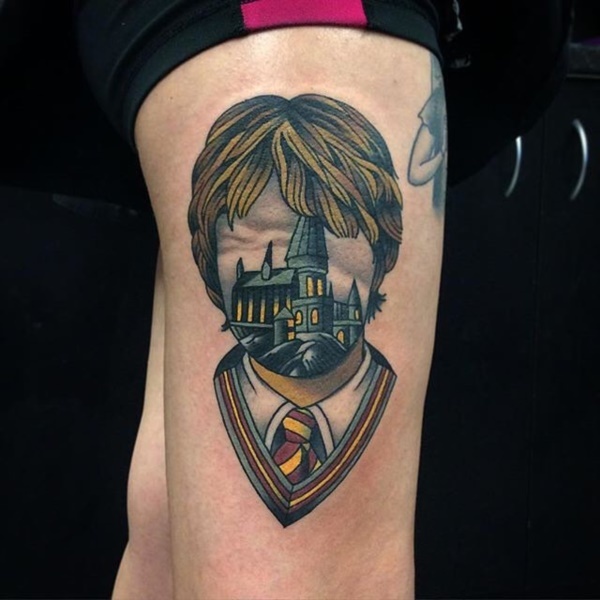 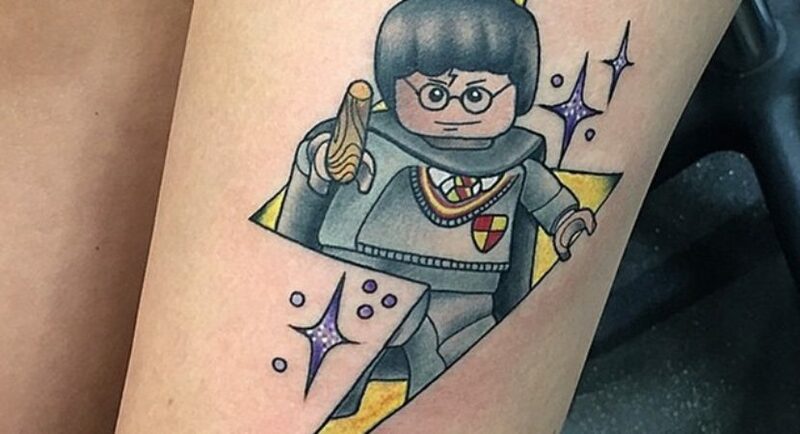 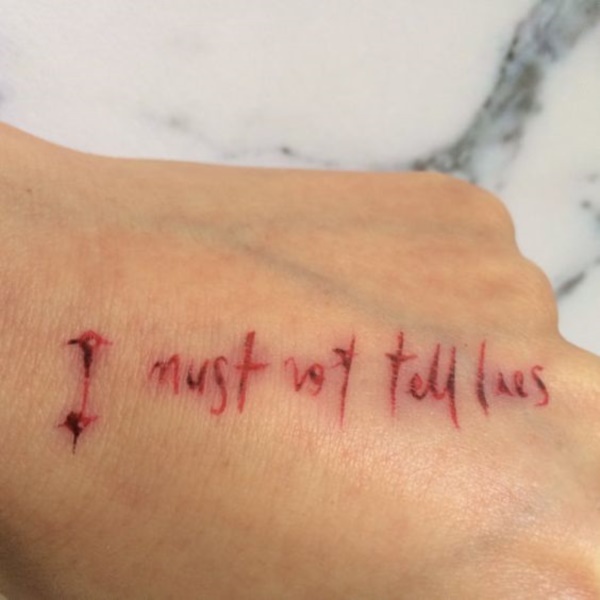 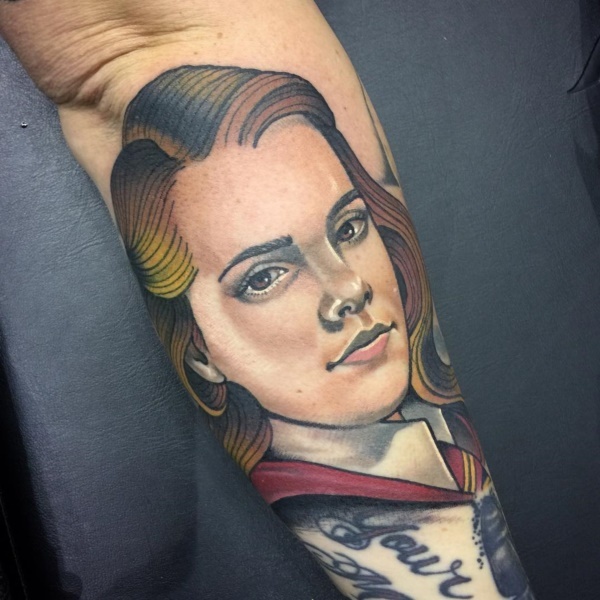 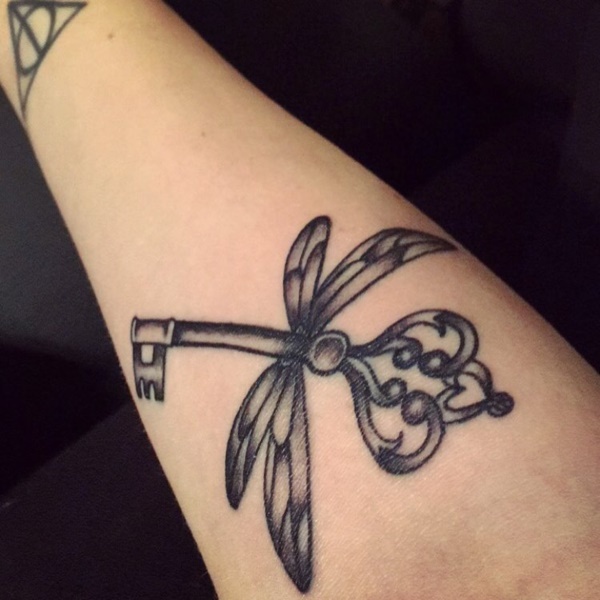 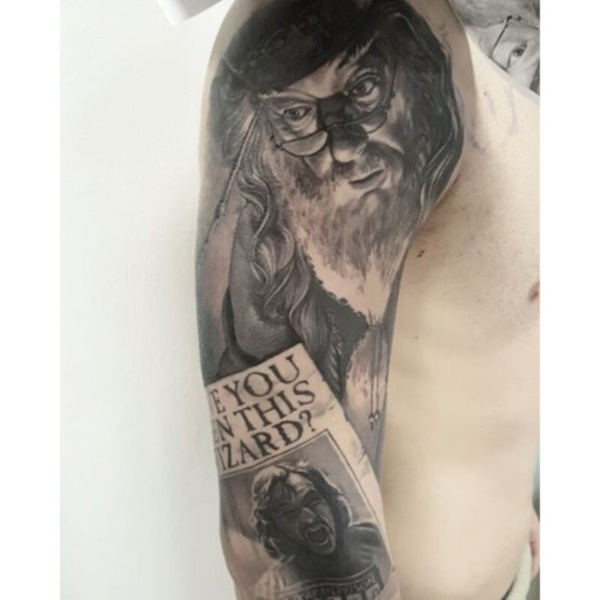 You can go for any theme when it comes to Harry Potter tattoos like for instance these big, brooding and bewilderingly difficult to ignore blackout tattoos or colored tattoos or even just words. 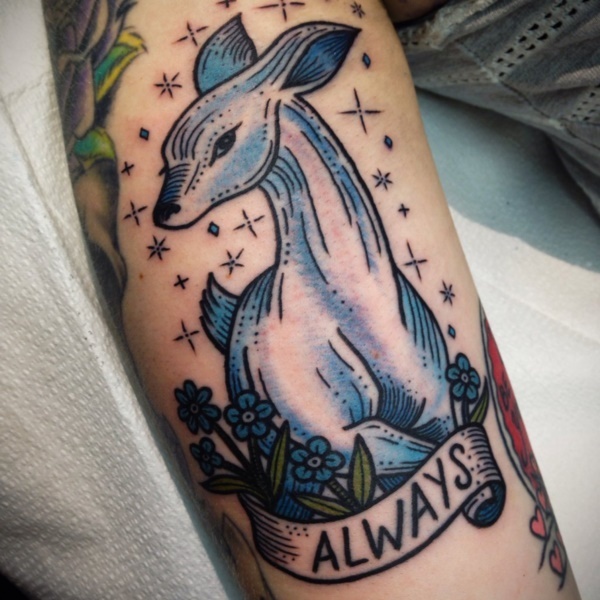 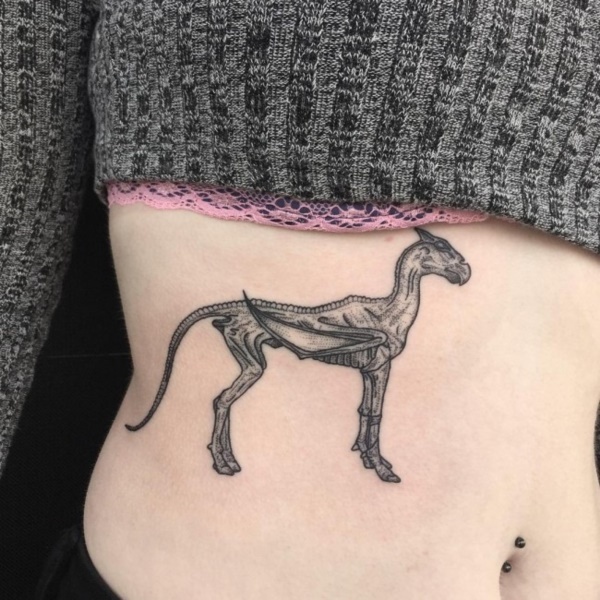 Though the number of tattoo design themes and choices are too many to be confusing, it will not at all surprise you to know that the most popular tattoo design remains the love Snape had for Lily. 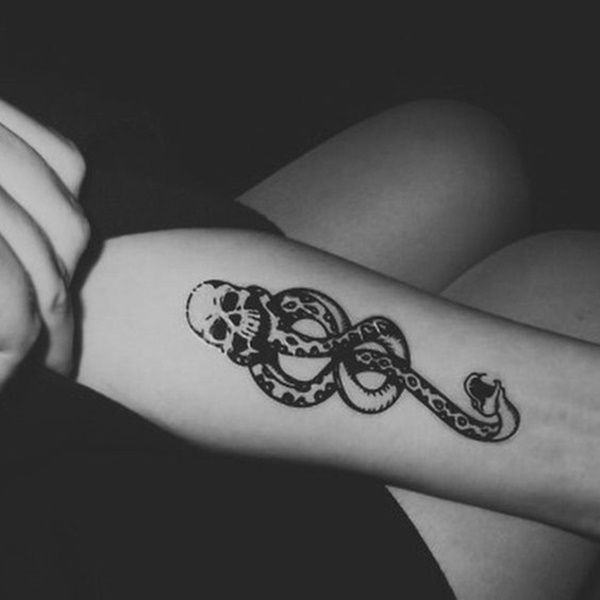 We always crave for a love like this in our lives because it is eternal and seems to have continued even after death. 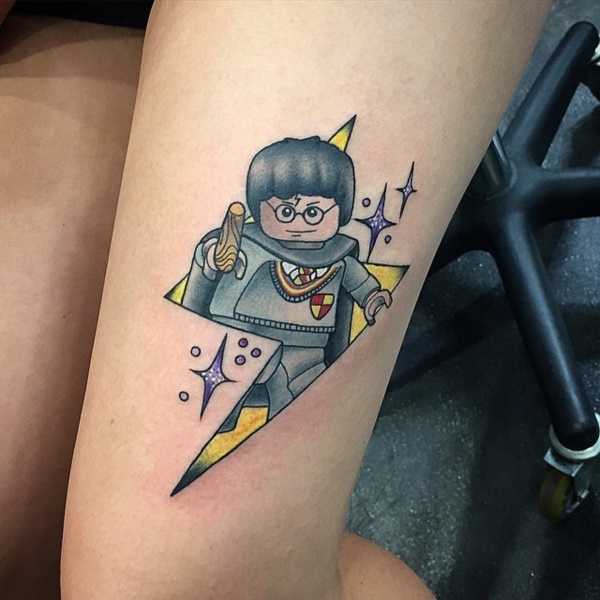 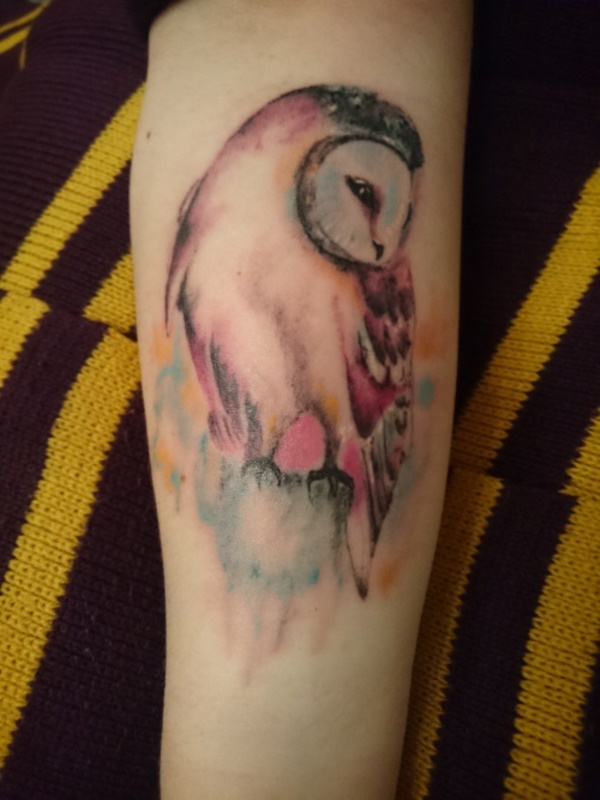 Other themes for tattoo designs would include the great but all too human Harry Potter that was the object of our love, sympathy, affection and admiration a lot of times. 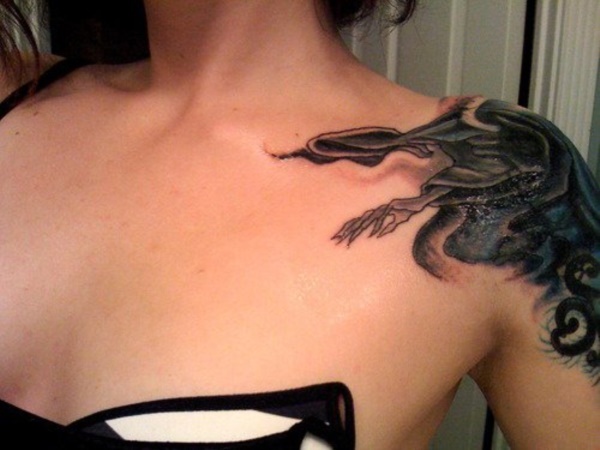 But he proved to be the real hero by having a human side with a lot of follies and foibles. 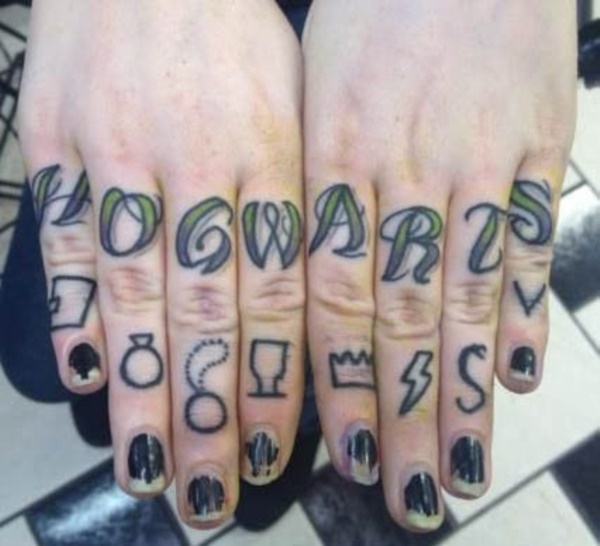 Then there is Hogwarts, a school that all of us at one time or the other, we wished we had attended. 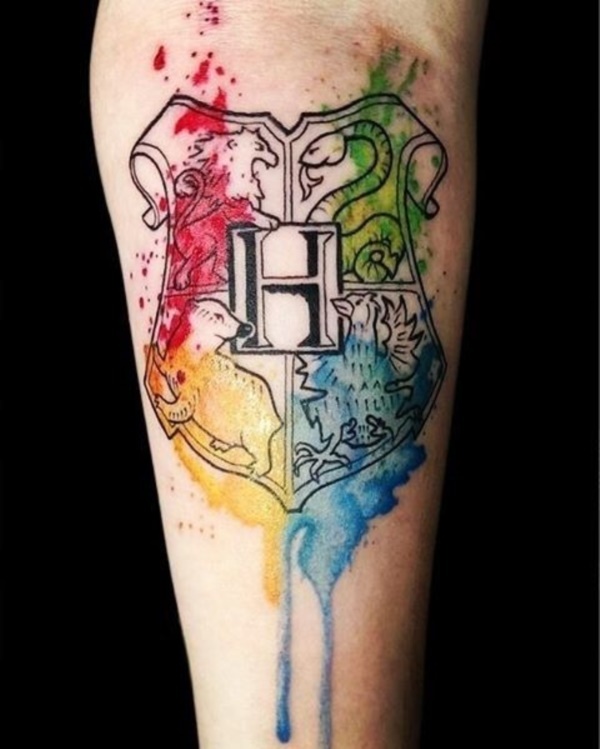 It could relate to one of the houses like Gryffindor or Ravenclaw or any of the houses. 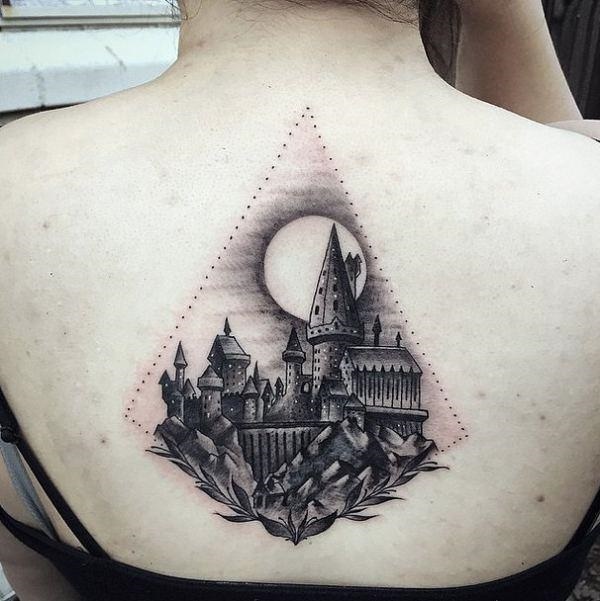 These houses are not just houses but representative of the wizards that established the school. 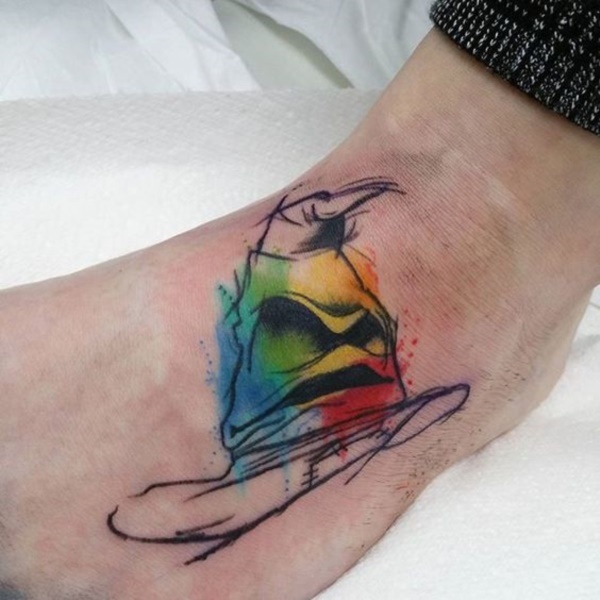 The phoenix that regenerated and played the hero so many times and was faithful to Dumbledore could be another tattoo inspiring theme. 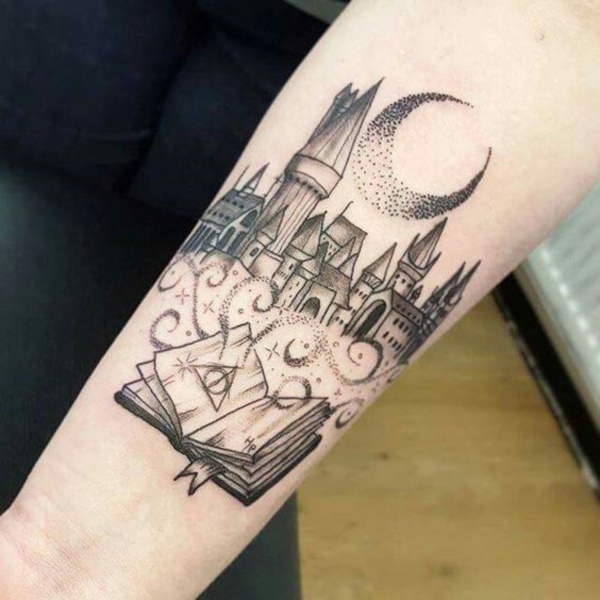 The thing about Harry Potter based tattoo designs is that it can be as small as getting the scar on Harry’s head done or something as elaborate as the Hogwarts visual done as a tattoo. 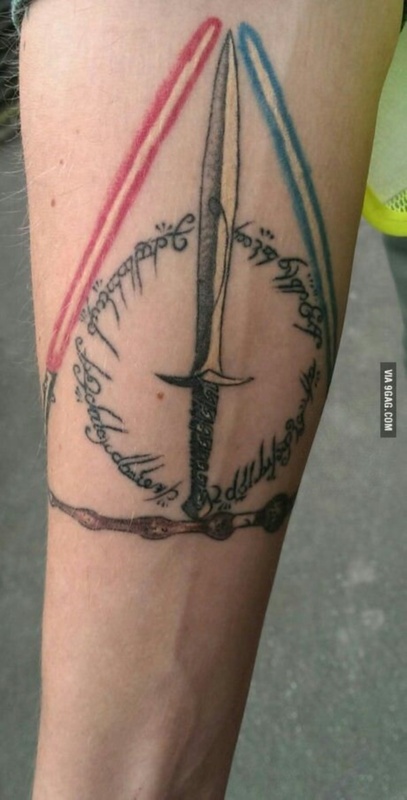 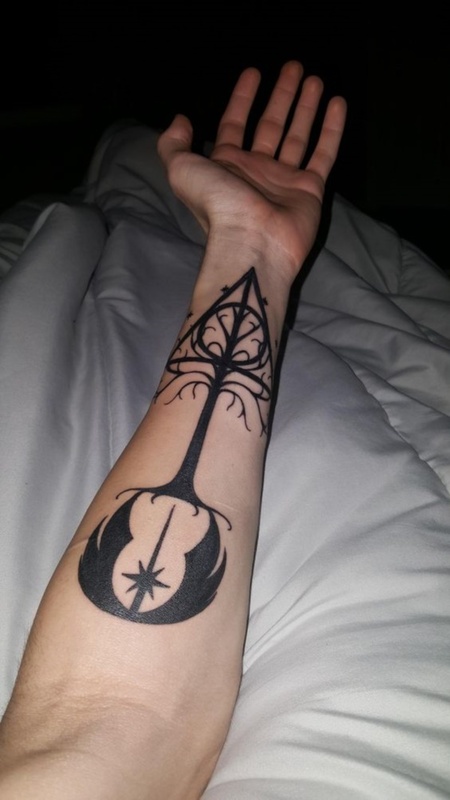 All these tattoos are not just a means of showing how big a fan you are of the series but also come loaded with a lot of deep significance that even the biggest cynic can deny. 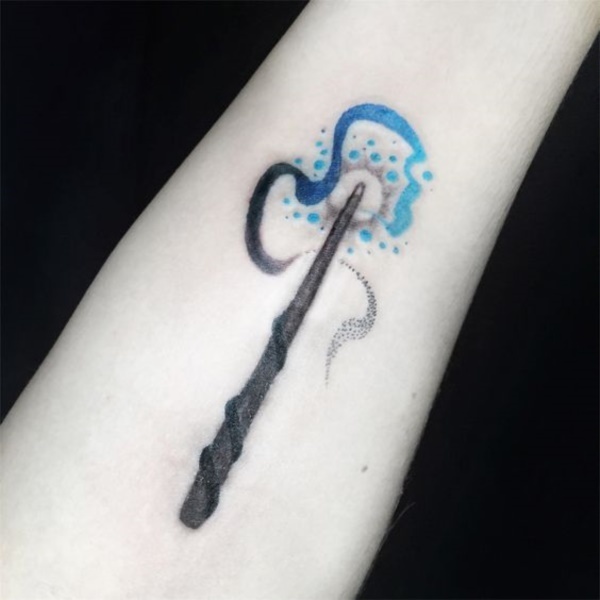 The lightning like scar on Harry’s head showed that he was a survivor and would appeal to someone who had lost a lot and had stayed alive due to the sacrifice of loved ones. 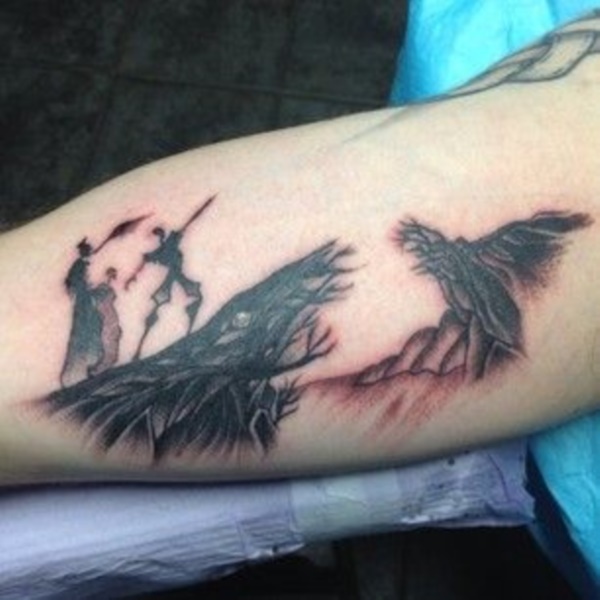 The Phoenix would simply signify a history of regeneration and having built their lives time and again. 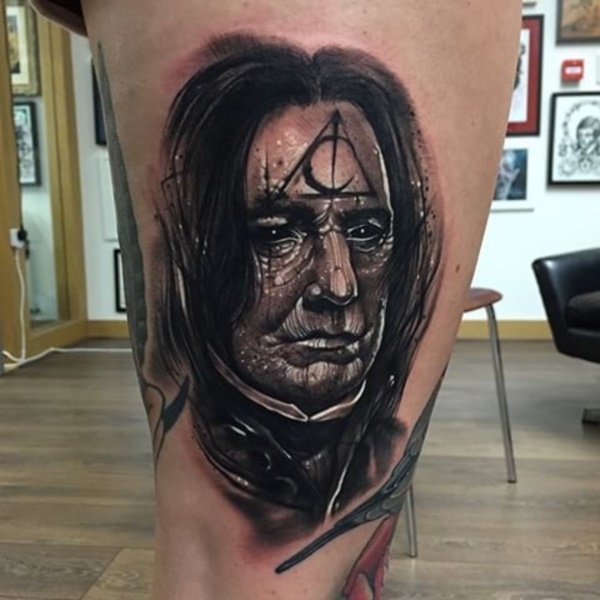 Dumbledore based tattoos would show an all too human elder who was noble but had a weaker aspect to him or her. 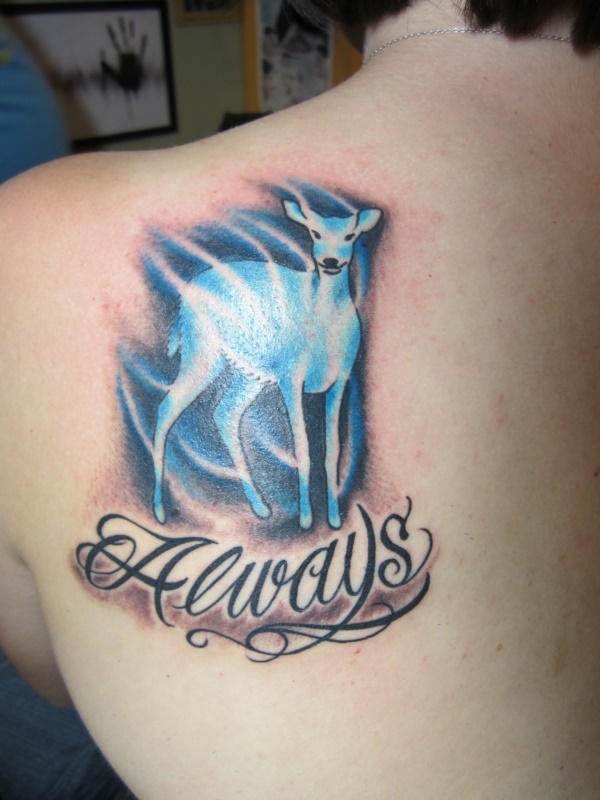 The Patronus would mean something that we hold on to when times become difficult to cope with and need an anchor to keep going. 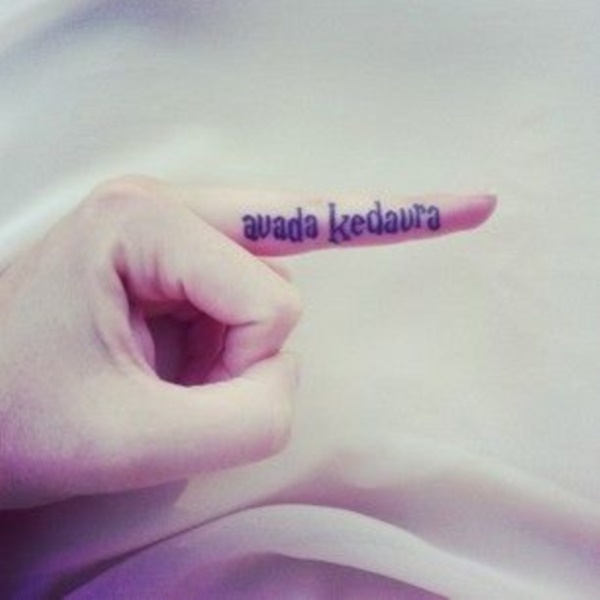 Some people may also have avada kedavra tattooed because while this is supposed to be the death curse, some like to get it tattooed because death is the ultimate truth, one that nobody can escape from. 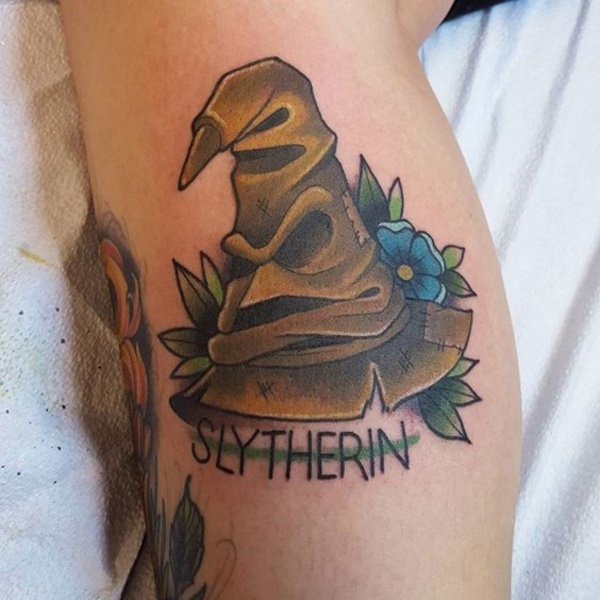 The sorting hat could be significant in the sense that it knew the inner you and could judge you based on that though it still was kind enough to give you a choice in any case. 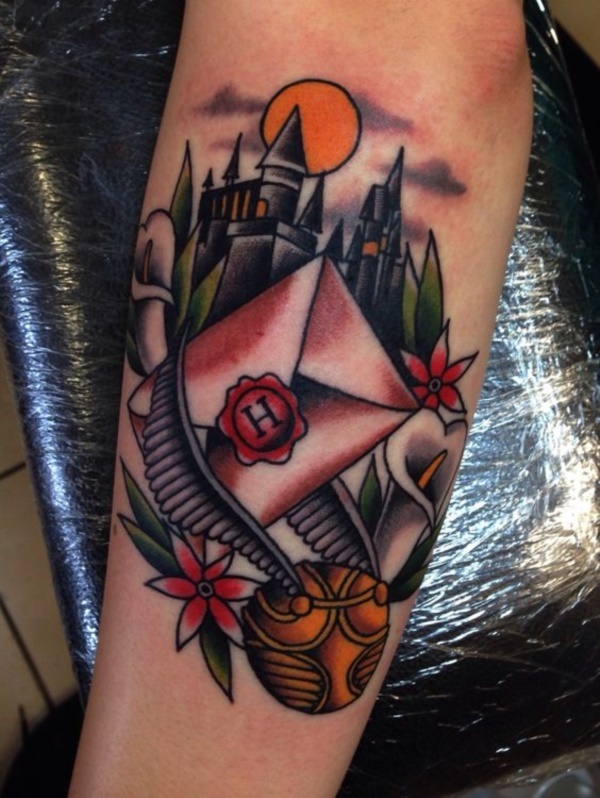 There are the various potions that made the series so interesting, the game and the adventures. 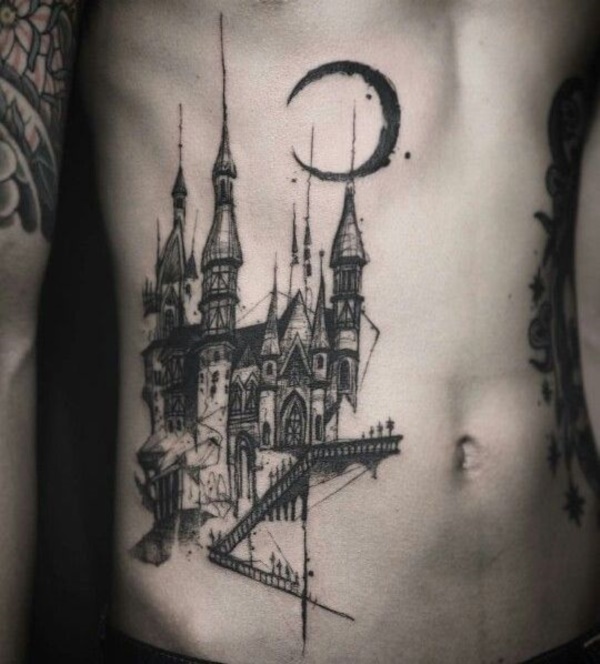 Do look at the pictures and tell us which are the ones that tempt you the most.